At the end or 2017, I decided to take control of my health. I changed my eating habits and started exercising. I also set a goal of running in a 5K before the end of summer. I'm happy to report that I've exceded all of my health goals: weight, blood pressure, cholesterol and fitness. I am already running 5K several times a week, but I wanted my "official" run to meet my goal to be extra meaningful. I want to do it for the animals! I've been involved with animal rescue for many years--the cause is very dear to my newly healthy runner's heart. 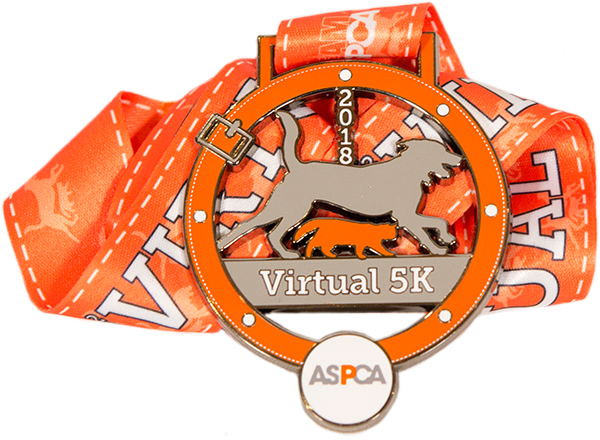 I can't think of a better way to celebrate my official run than by making it for the ASPCA, which does so much wonderful work on behalf of animals. Even more so, last month I had to say my final goodbye to Boogie (pictured above), the amazing search dog, amazing friend who was a big part of my life for many years. Boogie was a stray as a young dog. He was one of the lucky ones. He was found by some caring people who took care of him and found a home for him suited to his needs. So many others are not so fortunate. They need the ASPCA to help them. Would you join me in supporting their cause (and celebrate my fitness achievement) with a small donation? I only need 10 of my friends to donate $5 each to meet my fundraising goal. Come on...you know you want to help the animals! Click the button now.